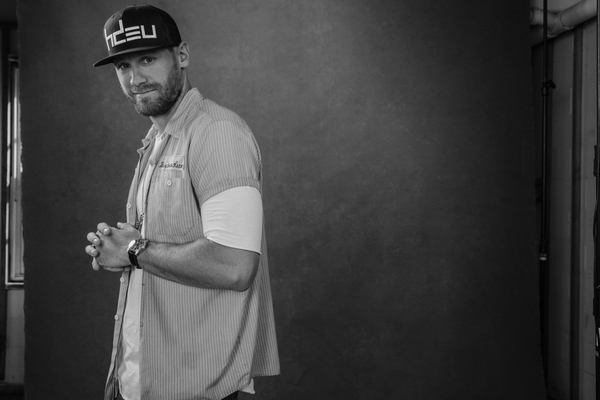 NASHVILLE, Tenn. (Aug. 23, 2016) – Having logged thousands of miles on the fair and festival circuit this summer and countless hours in the studio fine-tuning new music for his much-anticipated forthcoming studio album, Chase Rice is set to perform his new single, “Everybody We Know Does,” for the first time on national television during his Today debut next Tuesday, Aug. 30. The “massive sing-along,” which Taste of Country observes was “recorded with the fans in mind,” is also the inspiration and eponym for Rice’s fifth headlining tour, which officially kicks off in September. With a long history of supporting fellow singer/songwriters and building his live show around an eclectic blend of artists, Rice tapped country music newcomers Ryan Hurd and Lacy Cavalier to join him as support on the Everybody We Know Does Tour this fall. "This tour is all about bringing people together and appreciating where we come from, whether it's Seattle, Washington or Akron, Ohio or Buford, Georgia. Whether you're from a big city or a small town; east coast, west coast or anywhere in between, we're all part of this same great country and we all have a story about what makes us who we are,” said Rice. “Music is one of the best ways I know to share those stories and experiences, and I'm excited not only to play some of my new music live, but also to have two really creative artists in Ryan and Lacy with me on the road to add their own unique sounds and styles to the mix. We're going to have a good time!" Wednesday, Aug. 24 – WTQR End of Summer Jam – Greensboro, N.C.
Thursday, Aug. 25 – Stone Pony Summer Stage – Asbury Park, N.J.
Saturday, Aug. 27 – Keloorah Music Festival – Brooklyn, Mich.
Saturday, Sept. 10 – York Fair - York, Pa.
Thursday, Sept. 15 – Hal & Mal’s - Jackson, Miss. Friday, Sept. 16 – The Moon – Tallahassee, Fla.
Saturday, Sept. 17 – City of Buford Fall Festival - Buford, Ga.
Friday, Sept. 18 – Teenage Mutant Ninja Turtles 400 Pre-Race Concert – Chicago, Ill.
Thursday, Sept. 22 – Jannus Live - St. Petersburg, Fla.
For more information or to purchase tickets for the Everybody We Know Does Tour, visit www.chaserice.com or follow on Twitter @ChaseRiceMusic and www.Facebook.com/chasericemusic.